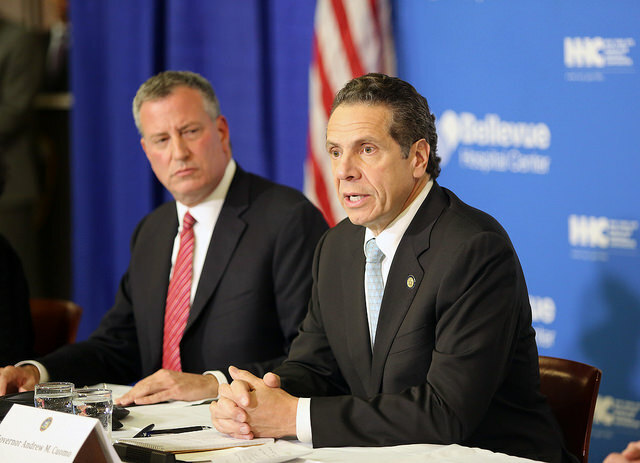 Some New York officials are nervous about 2020 and not just because of the presidential election that year. The year will also feature the next United States Census, the once-every-decade attempted count of everyone living in the United States that dictates representation in Congress and affects the drawing of legislative districts, federal funding, and more. On Friday morning, the Association for a Better New York hosted a census-focused event featuring New York Department of City of Planning chief demographer Joseph Salvo and New York Congressional Rep. Adriano Espaillat, who both spoke about what’s at stake in the census, the challenges the city faces in executing the count, and strategies to combat those potential pitfalls. 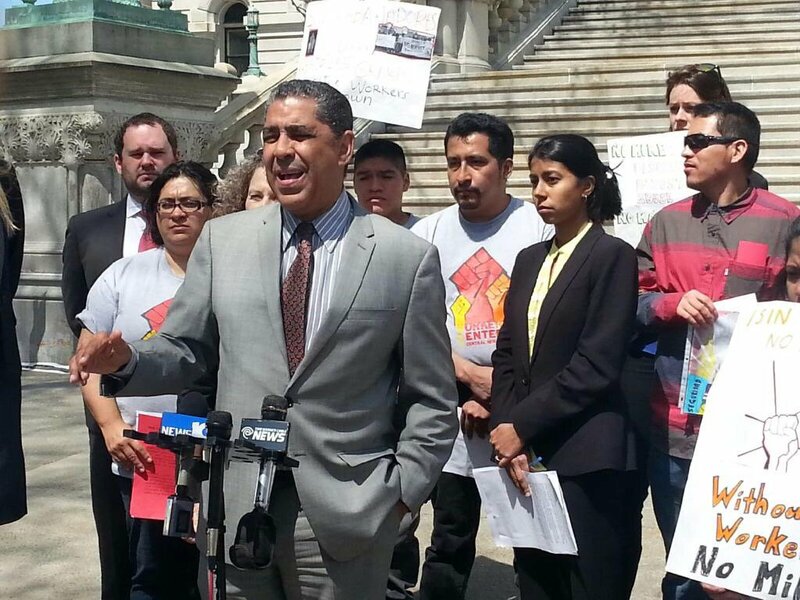 New Yorkers, they both feared, are at risk of being undercounted in the 2020 Census. “The census determines how many seats we have in the House [of Representatives]. And New York is at real risk of losing a seat or two in the census,” said Steven Rubenstein, chair of ABNY, to the roughly 100 attendees. 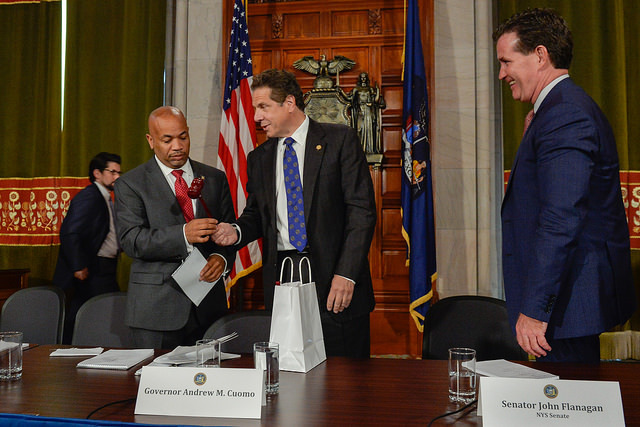 Along with political representation in the House, the New York census influences how the seats are allocated in the state and municipal government. 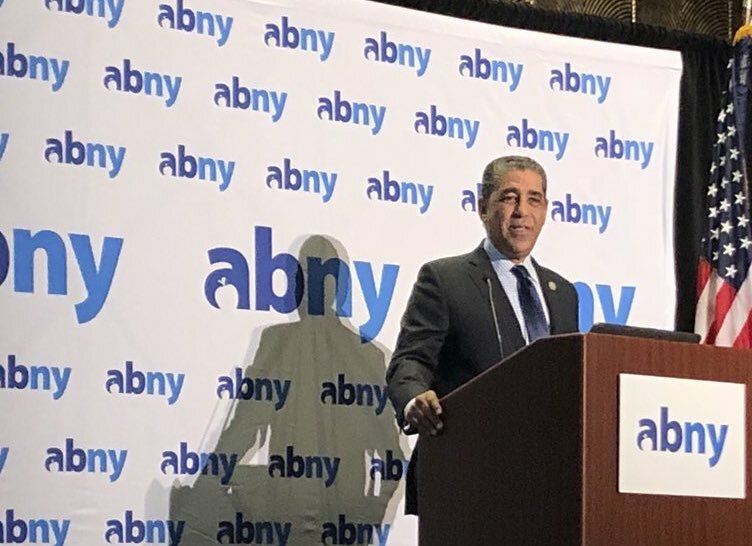 And, as Espaillat noted during his remarks, it influences funding levels for essential social services, education, housing programs, and more. “New York City needs an accurate count, but history has told us that is hard to get,” said Rubenstein. Indeed, in the 2010 census, the city trailed behind the national average in collecting census information via mail-return, though responses were up from 2000, while the national average decreased in relation to the previous census. Specifically, 63 percent of New Yorkers and just over 74 percent nationwide mailed in their census information, according to The New York Times. And the 2020 census poses unique challenges and uncertainties that may complicate accumulating data. 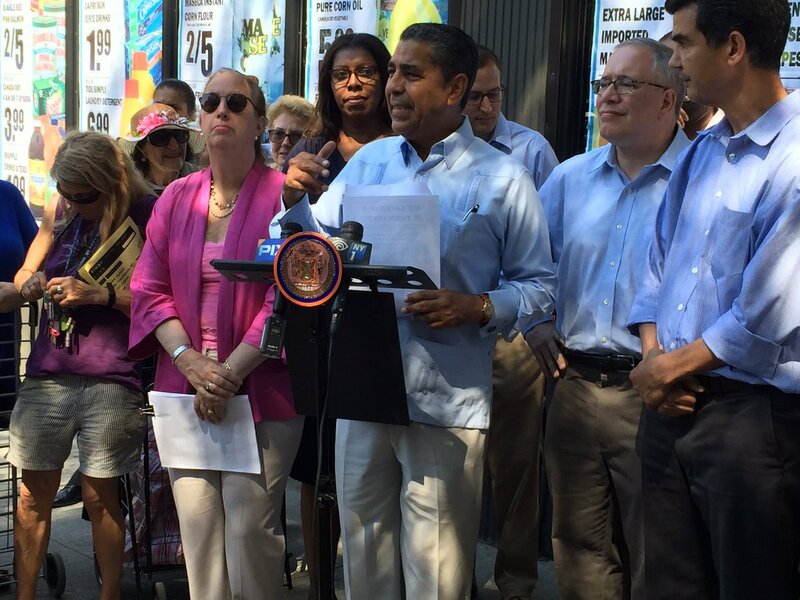 Due to anti-immigrant posturing and policies from Washington, D.C., along with increasing privacy concerns and general distrust of government, Salvo and Espaillat expressed worry that the current environment would throw a wrench in the census process. There are lingering questions at the Census Bureau, too, Salvo said. 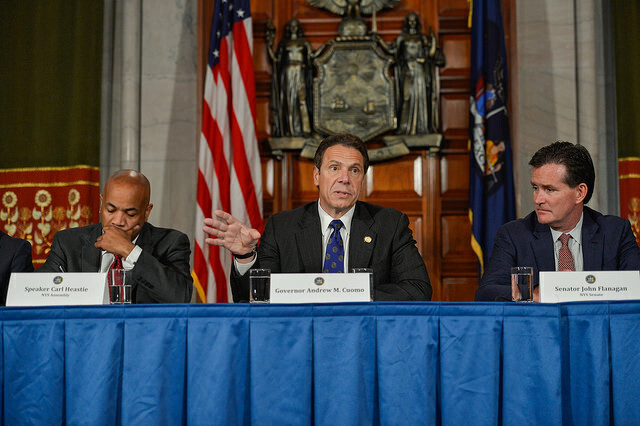 For example, at the time the federal government had yet to be determined if the census will ask for citizenship status -- but a few days after the ABNY event, the announcement came Monday that it would, setting off a firestorm of criticism and worry. The amount of funding allocated toward community outreach is another unknown variable in the equation. What’s more, the Census Bureau has yet to be assigned a Director or a Deputy Director, which Salvo said is under the control of Secretary of Commerce Wilbur Ross. Commerce announced Monday that it would include the citizenship question, which would be the first time since the 1950s that such a question will be included, according to multiple reports. “It remains to be seen what they’re going to get for partnership and outreach. We’re very worried about partnership and outreach being underfunded, which means we’re going to have to stand up and be stronger this time around than ever before,” Salvo told a small group of reporters after the event. Additionally, in New York City, hundreds of thousands of new homes and unconventional living arrangements may be hard to track, making it difficult to enumerate many residents. During his presentation, Salvo displayed examples of living arrangements that are less likely to be included on the city’s address list, such as basements, attics, and garages. Counting people that live in either unconventional or illegal dwellings is another way to ensure everyone is accounted for. But the census, he insisted, is “agnostic” on legality of the homes. (He also wants it to be agnostic on citizenship). Salvo said one of the keys to guaranteeing as much of the population is included in the census is establishing an accurate address list, which he labeled the “foundation” of the census. The compilation of that list is soon to be completed. It could have around 3.6 million addresses, according to The Times. City Planning officials will then go block-to-block in select locations to find addresses that may have been left out of the list. Notably, the 2010 census omitted 50,000 people in Brooklyn and Queens because the Census Bureau incorrectly considered a number of homes to be vacant. Next, City Planning will enlist New York community leaders to spread the word about the census and the importance of completing and submitting census data. After the information is sent by mail, Census Bureau employees will go door-to-door to add to the census those yet to send in their information. In order to improve accuracy and responsiveness, the 2020 census will encourage response via the internet, will include a tracking of census operations in real time, and will use data, such as postal records, to identify if units are vacant or have people living in them. In addition, the 2020 census will allow people to write in their racial and ethnic background on the form if they choose to do so, allowing people who don’t fit neatly into the Hispanic, Black, White and Asian boxes to more accurately capture themselves, Salvo said. According to Salvo, the particular challenges within different neighborhoods underscores the importance of community involvement to supplement the technical aspects of the process that fall under his purview. “What I’m trying to point out here is there’s not one formula. Outreach does make a difference,” he said. Note: this story has been updated to reflect that the federal government announced plans to include a citizenship question on the 2020 census. While the current New York City congressional delegation consists of 11 Democrats and one Republican, a makeup that is unlikely to change this year, results from key primaries in three swing districts outside the city have set the stage for races that could factor into which party controls the House after November’s elections. 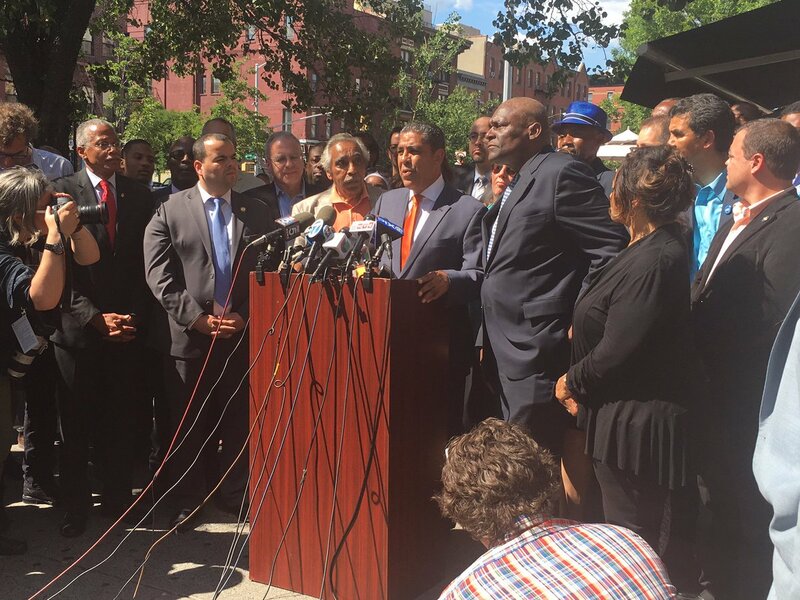 In the most-watched and only competitive primary in New York City, nine candidates contended to be the Democratic nominee for New York’s 13th Congressional District, where longtime incumbent Charlie Rangel announced he will step down after 46 years in office. The district includes much of Upper Manhattan and some of the South Bronx. Because the district is overwhelmingly Democratic, the primary winner is a lock to become the next district representative in Congress. 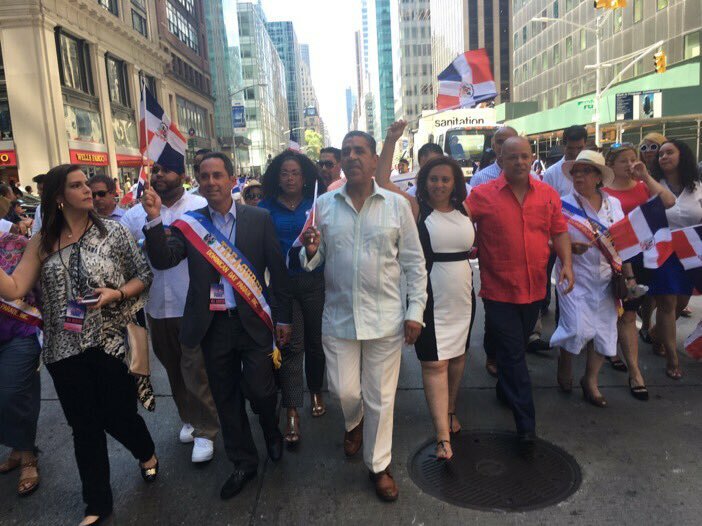 State Senator Adriano Espaillat, who lost primary challenges to Rangel in 2012 and 2014, declared victory in NY-13, barely defeating Assemblymember Keith Wright. While Wright did not immediately concede, asserting that every vote must be counted and that efforts to suppress the vote of African-Americans must be investigated, NY1 projected Espaillat the winner just after 11 p.m., at which point 98% of precincts had reported their ballots and Espaillat held a lead of about 1,270 votes. The NY-13 vote was relatively high among expectedly low turnout affairs across the city and state, with about 43,000 votes cast -- Espaillat received about 15,700 (37%); Wright about 14,400 (34%). 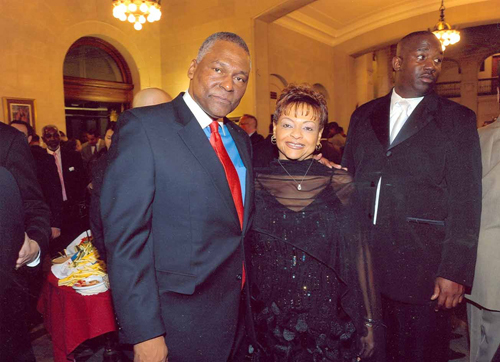 Clyde Williams (11%) finished a somewhat distant third, followed by Adam Clayton Powell IV (6%), Guillermo Linares (5.5%), Suzan Johnson-Cook (5%), Michael Gallagher, Sam Sloan, and Yohanny Caceres. Most New York City congressional primaries were marked by victories for incumbent candidates. Democrats Gregory Meeks of Queens; Nydia Velazquez of Brooklyn; Jerrod Nadler and Carolyn Maloney of Manhattan; and Jose Serrano of the Bronx kept their seats by wide margins in contested primaries. 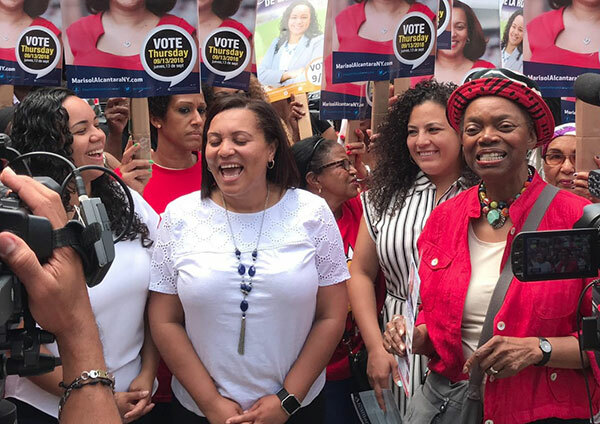 All are expected to win general election races in November, along with other Democrats, like Grace Meng and Hakeem Jeffries, who did not have primary challenges, and Republican Rep. Daniel Donovan, who was unopposed in the primary. A key primary outside the city was the 19th Congressional District in the Hudson Valley and the Catskills, where current Republican Rep. Chris Gibson has announced he will retire this year. Zephyr Teachout defeated Will Yandik to clinch the Democratic nomination there, while John Faso won the Republican nomination over Andrew Heaney. Teachout and Faso are preparing for what could be a very competitive general election that may garner national attention and resources from the two major party apparatuses. Democratic Rep. Steve Israel, who represents the state’s 3rd Congressional District on Long Island, will also retire at the end of this term. In the primaries, Thomas Suozzi defeated Jon Kaiman, Steve Stern, Jonathan Clarke, and Anna Kaplan to become the Democratic nominee. Suozzi will face Republican candidate Jack Martins in the general election. Republican Rep. Richard Hanna of the 22nd Congressional District in Utica has also announced he will step down this year after three terms in office. In the district’s Republican primary, Claudia Tenney defeated George Philips and Steven Wells to become the nominee, and will run against Democratic candidate Kim Meyers in November. As the November general election approaches, candidates on both sides of the aisle will be looking up the ticket at presidential nominees. The two major parties both have presumptive nominees from New York, Hillary Clinton for the Democrats and Donald Trump for the Republicans. The official nominating conventions are in July. Come November, there will be one New York Senate race on the ballot, with incumbent Sen. Charles Schumer, a Democrat from Brooklyn, facing Republican challenger Wendy Long. Senator Kirsten Gillibrand, a Democrat who defeated Long in 2012, is not up for reelection this year. The general election will take place November 8. Before the November election, New Yorkers will have a third primary election day, with state Assembly and Senate primaries on September 13. Few New York City-based races are expected to be competitive, but if Espaillat is indeed the winner in NY-13, his state Senate seat will be open and there are at least two Democrats, Micah Lasher and Robert Jackson, already in the running.